Get a coupon for $5 in groceries when you purchase any multi-pack of gift cards at Albertsons. Multi-packs range in cost from $30-$60. A coupon for $5 off your next grocery purchase will print out with your receipt at purchase. Last day to get this promotion is Monday, 11/12/12. 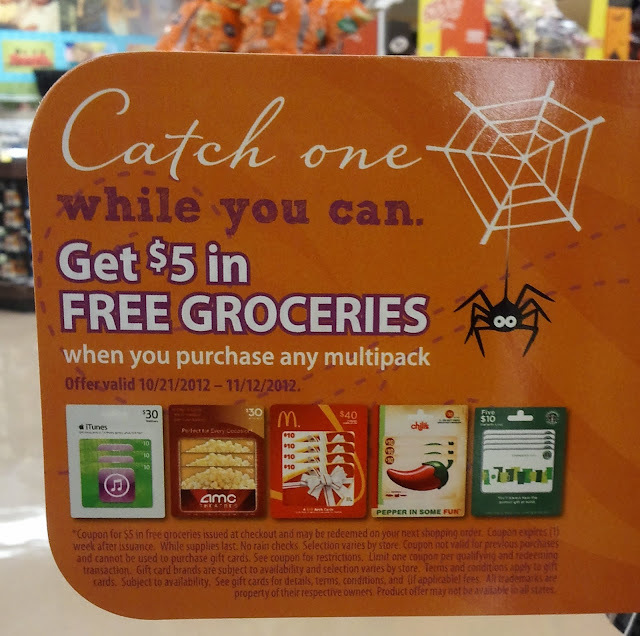 The $5 off coupon expires one week after being issued. Applebees, Chilis, Olive Garden, Red Lobster, TGI Fridays, Starbucks, McDonalds, Cold Stone, iTunes, Best Buy, Game Stop, Regal Cinemas, AMC Theatres, Fandango, Visa, and MasterCard.